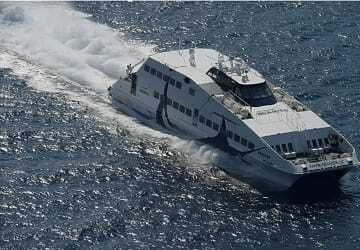 The Sifnos Piraeus ferry route connects Cyclades Islands with Athens and is currently operated by 4 ferry companies. 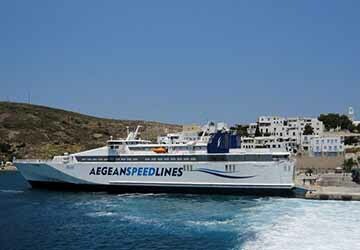 Aegean Speed Lines operate their crossing up to 13 times per week, Zante Ferries 10 times per week, Sea Jets 14 times per week & the Golden Star Ferries service is available up to 7 times per week. 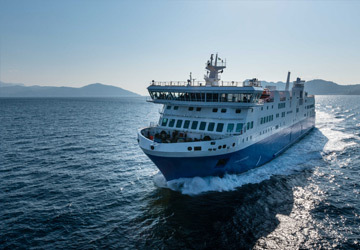 There are a combined 44 sailings available per week on the Sifnos Piraeus crossing between Cyclades Islands and Athens and with 4 ferry companies on offer it is advisable to compare all to make sure you get the best fare at the time that you want to travel. Prices shown represent the average one way price paid by our customers. 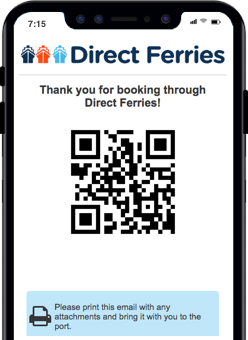 The most common booking on the Sifnos Piraeus route is a car and 2 passengers. The Greek island of Sifnos is one of the Cyclades islands, and lies between the island of Serifos and the island of Milos. It is located to the west of Delos and Paros and around 130 km from Port of Piraeus on the Greek mainland. The island's capital is Apollonia, sometimes called Hora, and was built over three hills in the centre of the island in the shape of an amphitheatre. The town is characterised by its whitewashed houses in the typical Cycladic architectural style. The island's Folklore Museum is based in Apollonia, in Hiroon Square - which means Square of Heroes. One of the most popular visitor attractions on the island is the medieval castle located around 3.5 km from Apollonia. It was built on top of the island's ancient capital and still has the original characteristics of a Venetian fortification. It was established by the Da Corogna Dynasty in around 1635. The town of Kamares is home to the island's port and during the summer there are ferry services operating to Piraeus, to other Cycladic islands like Serifos, Folegandros, Kythnos, Ios, Santorini and also to Crete. The Greek city and port of Piraeus is one of the largest ports in the whole of the Mediterranean, and the third largest in the world, and has become a major hub for the ferry network that spans the Aegean Sea. Piraeus is an important city in its own right despite the fact that it is frequently considered to be a suburb of Athens, the Greek capital, which is only a very short distance away. Despite its proximity to Athens, Piraeus' waterfront has its own distinct appearance and visitors will see that the most appealing parts of the city are located around its eastern quarter, alongside both Mikrolimano Harbour and Zea Marina. A popular event in Piraeus is the Ecocinema International Film Festival which is held annually in late February and is where a number of films are screened at the Atticon Cinema and the Cineac Cinema, which are both located in the city's Town Hall Square. Full of restaurants, bars and nightclubs, the waterfront district was greatly redeveloped in time for the Athens Olympics and as a result a new harbour front promenade was created that is lined with trees and passes the medieval city walls. The walls serve as a reminder and as an insight into the city's rich past.